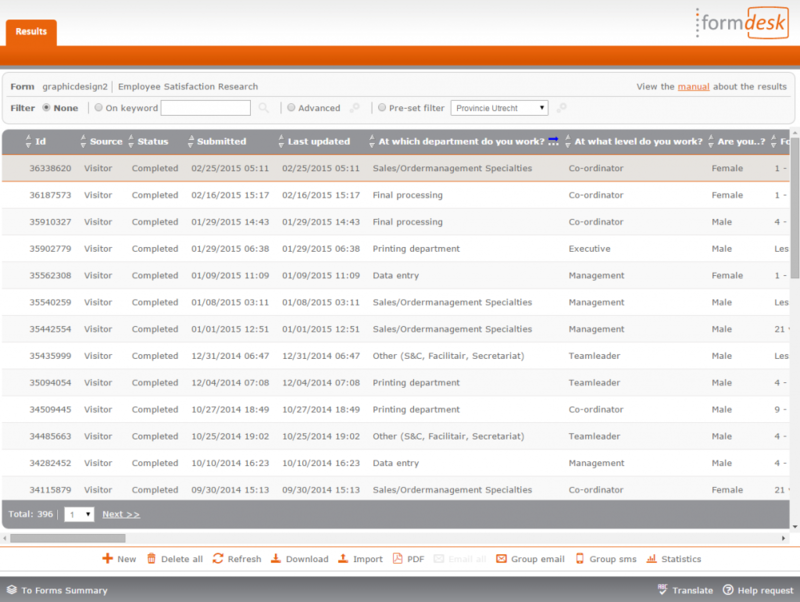 Your Formdesk account gives you access to the overview of all the data entered into your forms. Using this overview, you can modify or delete entries. Here, you can also filter result entries. You can also grant result entry access to a user that you add through the user management feature. A filter can be applied to the access rights so that the user only has access to specific data. Use the filter, for example, to limit a regional manager’s access to the results for his/her region.